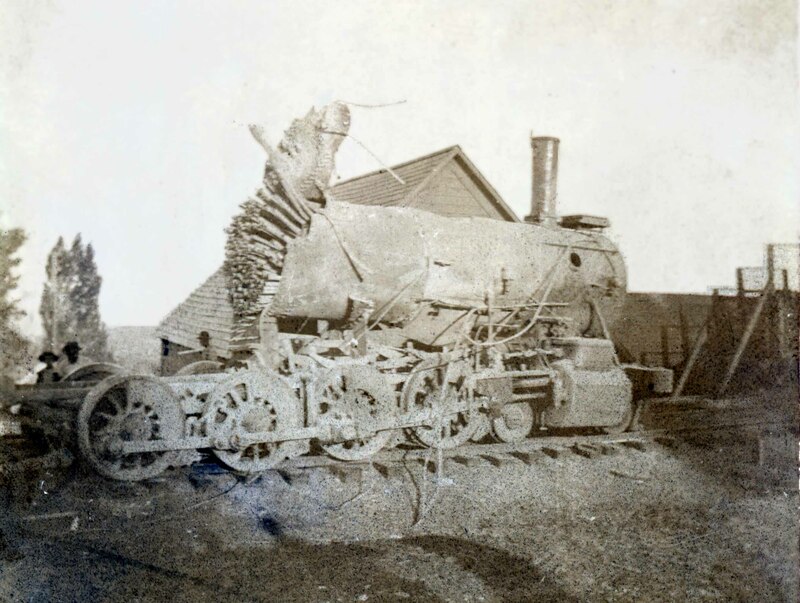 I have a photo of the wreckage of the train that exploded in Dutch Flat, CA in July of 1898. 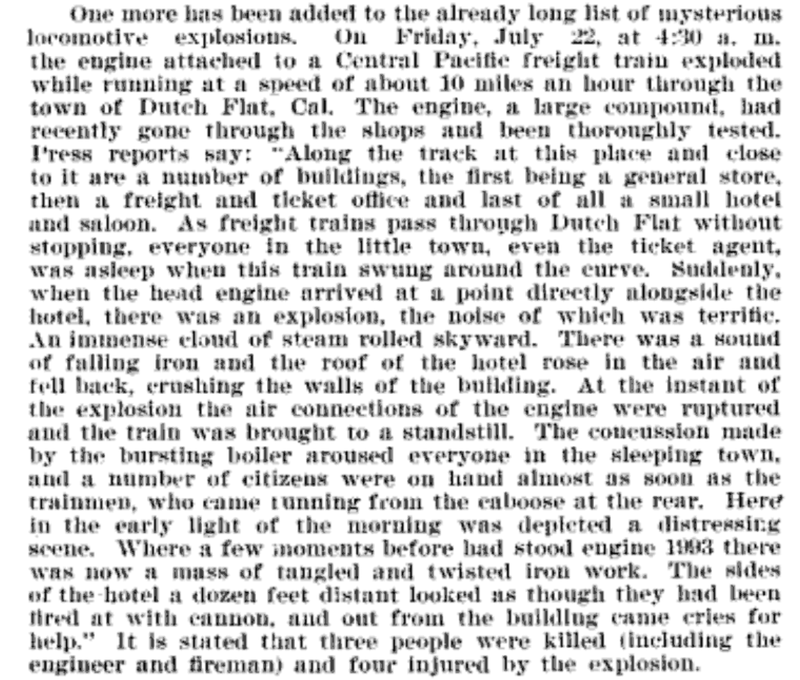 I've read an old newspaper account of the [steam locomotive boiler] explosion on the internet. The engine was Central Pacific's #1993. Do you have any information about the engine prior to the explosion. I would like to find a photo of the engine or one similar to it prior to the explosion. I've attached the photo of the wreckage.